Toward the end of day 2 of the Spring days by FAI (Fondo Ambientale Italiano, Italian Environment Trust), Pietro Crivelli showed up at our info point with pibinko and Attivarti.org. As a painter and a musician, he grabbed a LAG acoustic guitar casually dropped by the info point, and entertained us with some old standards and some of his own compositions. 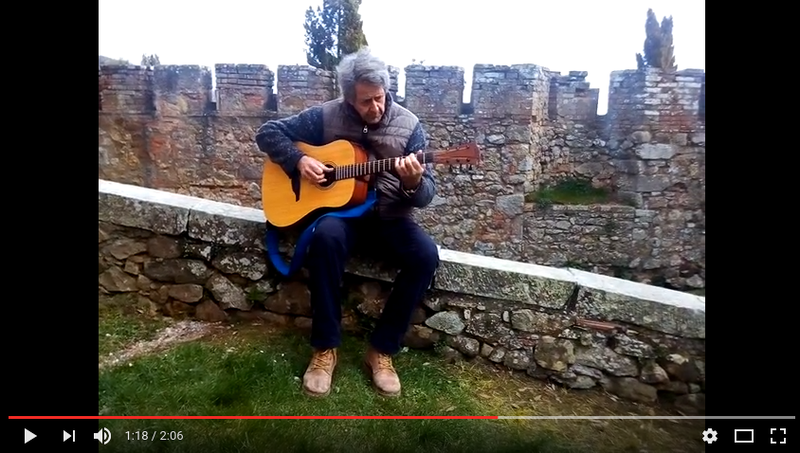 See here an instrumental version of “Nobody knows when you’re down and out” (for which he told us he prefers the Bessie Smith to the Clapton version), possibly performed for the first time in a medieval castle in the middle of the woods.